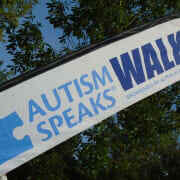 Autism Speaks is looking for Volunteers for the Pittsburgh Walk. The Walk is Sunday, June 9, 2019 at Schenley Park Flagstaff Hill. Volunteers are needed for setup and staging, registration, handing out food/drinks, t-shirts, etc. on Sunday and for finishing setup, working the Walk and tear down. Recruit your friends, family and coworkers to form a volunteer team. We'll do our best to assign you to the same area so you can spend the day together. Please remind each member of your team to register online so that we know how many people to plan for. Include your team name and we will know you are together. We have a morning shift through the event then a clean up shift in the afternoon.